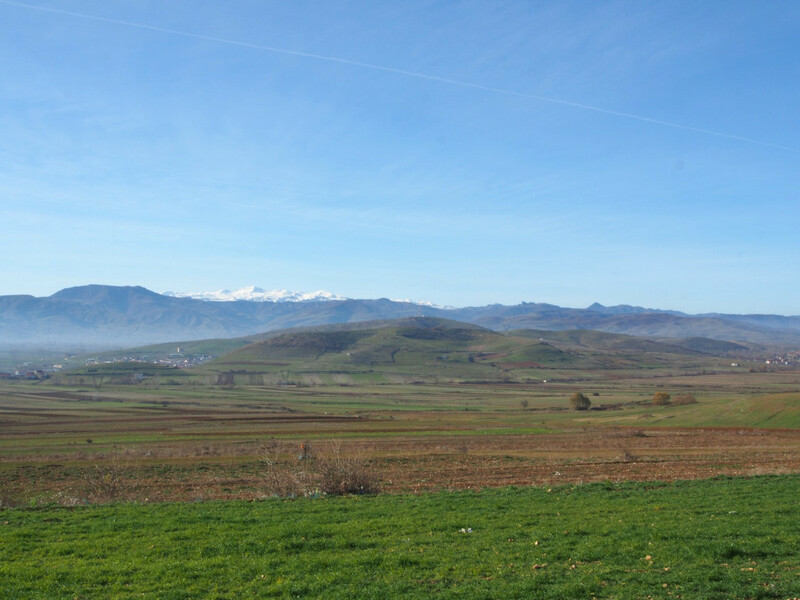 Albania was a country which we entered with zero expectations or knowledge, intending to cross at maximum speed spending only one night. 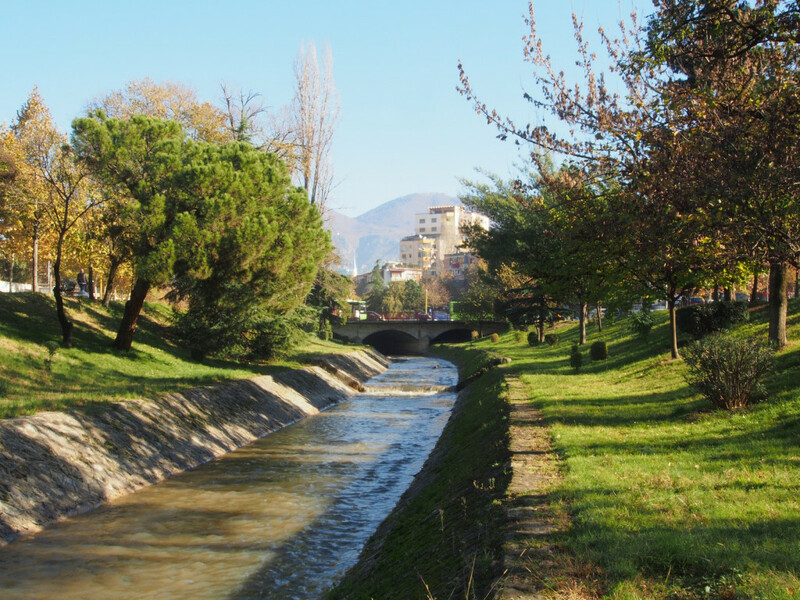 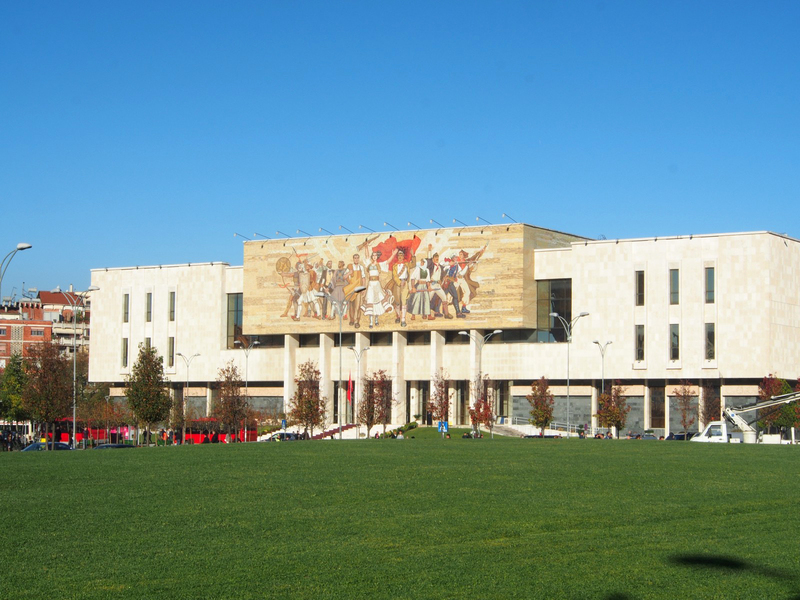 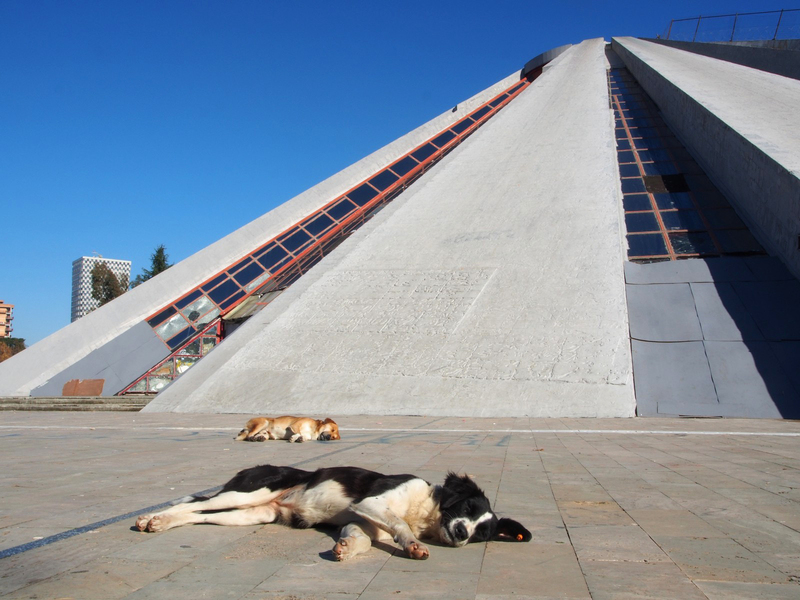 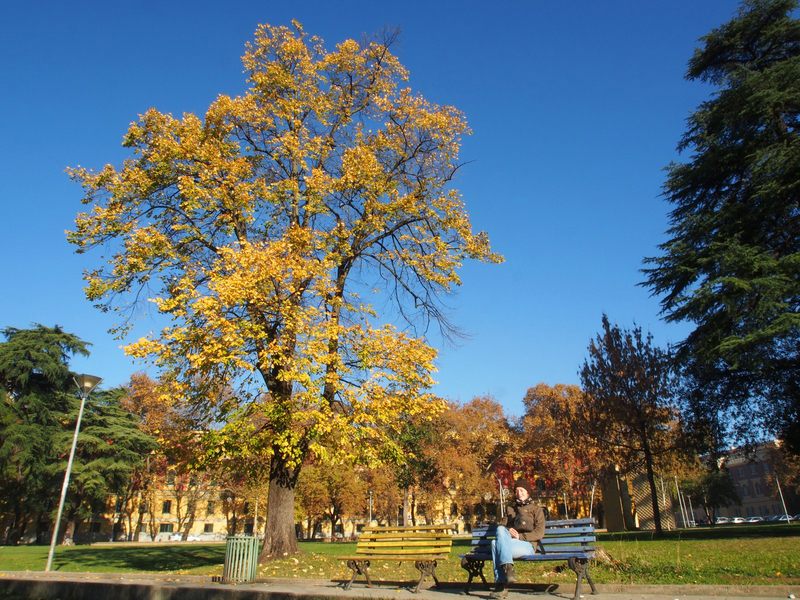 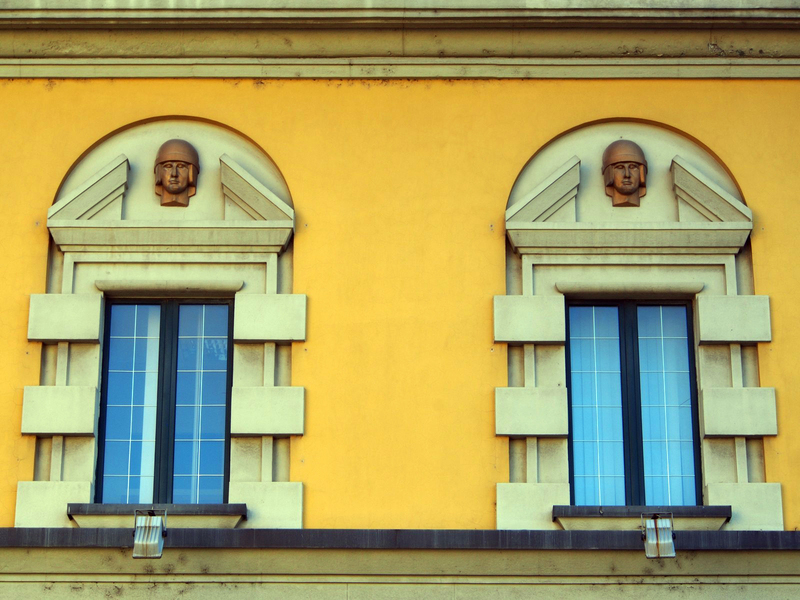 We were intrigued enough to bend our schedule and stay an extra day to explore its capital, Tirana. 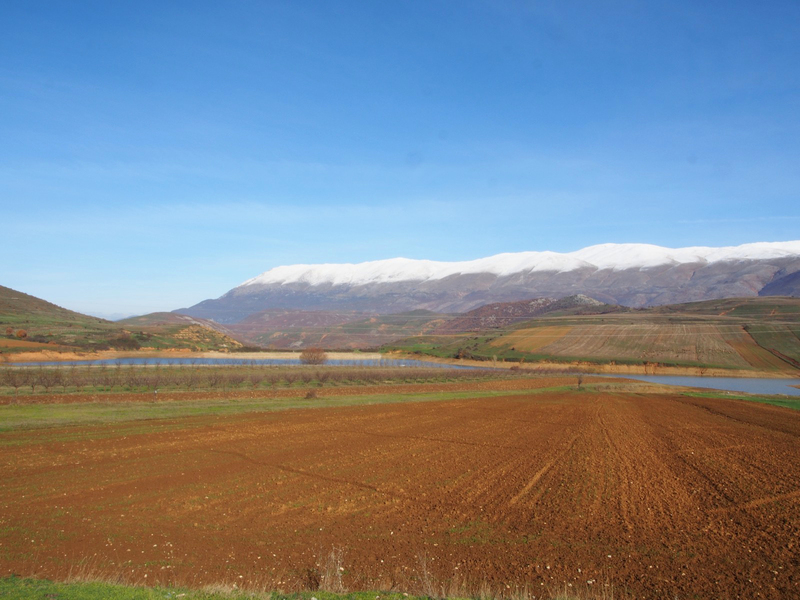 The eastern countryside, near the border with Greece, is rolling farmlands and tiny untouristed villages, with a range of snowcapped mountains looming in the distance. 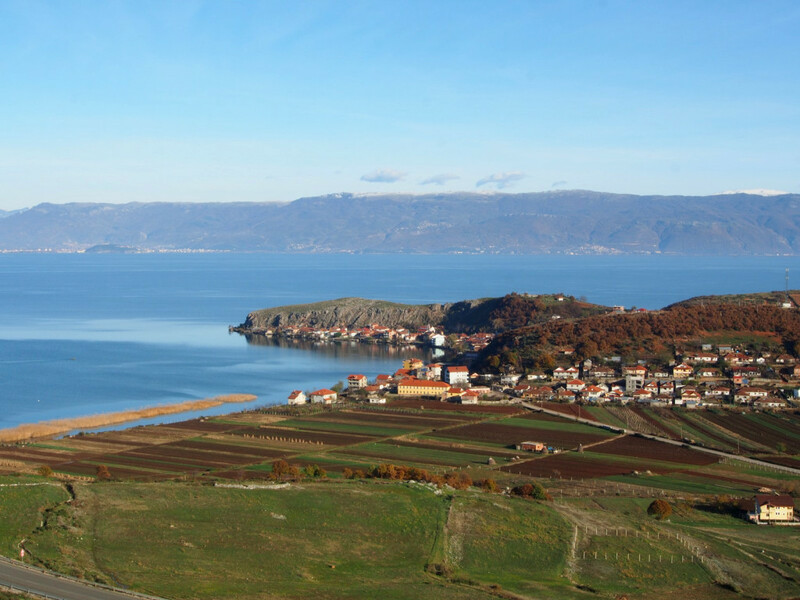 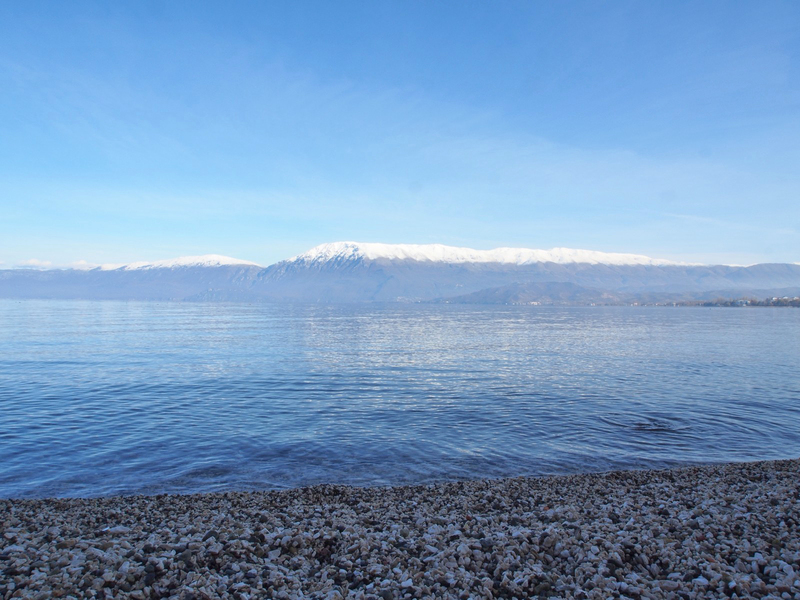 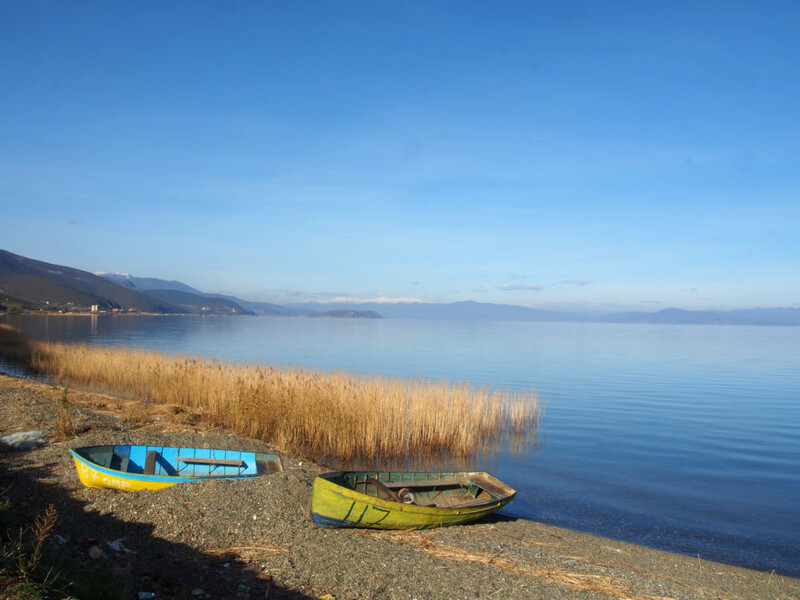 As we headed northwest, we struck the crystal clear icy waters of the southern edge of Lake Ohrid, which forms part of the border with Macedonia. 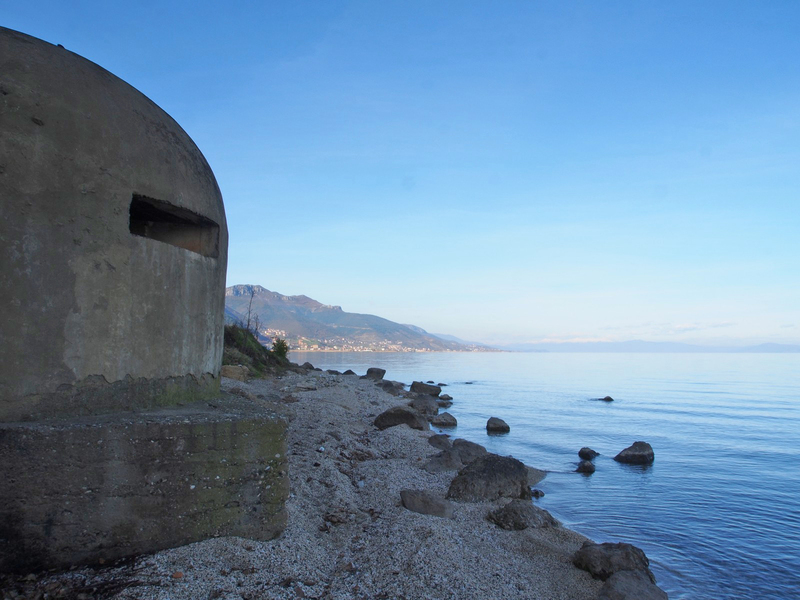 Scattered all across the countryside are concrete bunkers, some 700,000 of them. 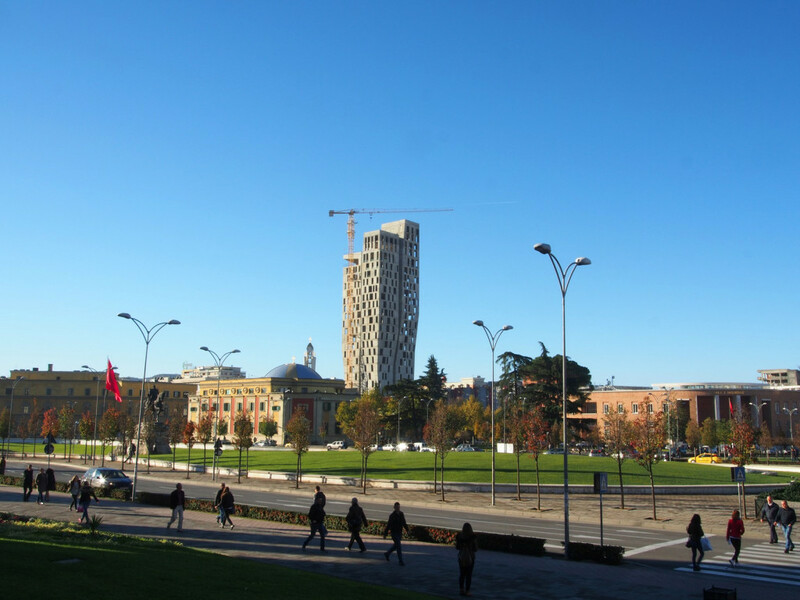 Militarily almost useless, their ceaseless construction contributed to the rampant poverty of the country under the communist dictatorship. 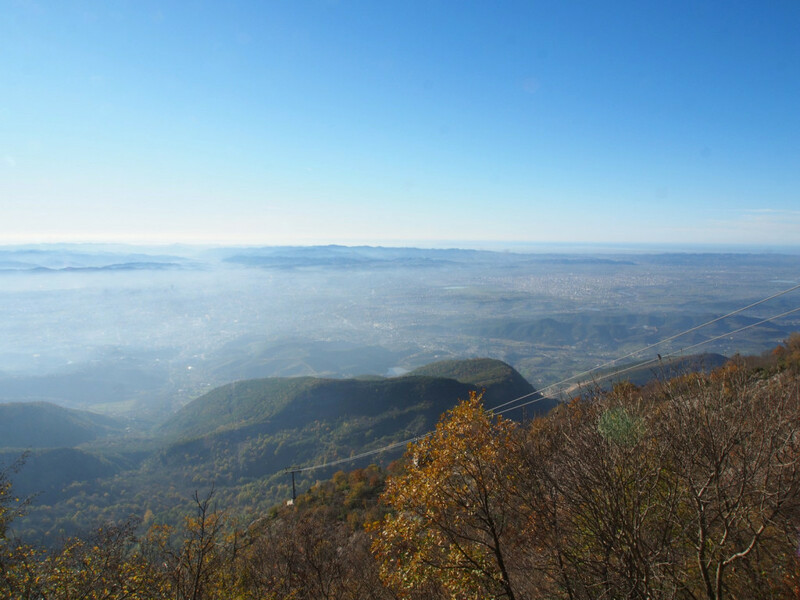 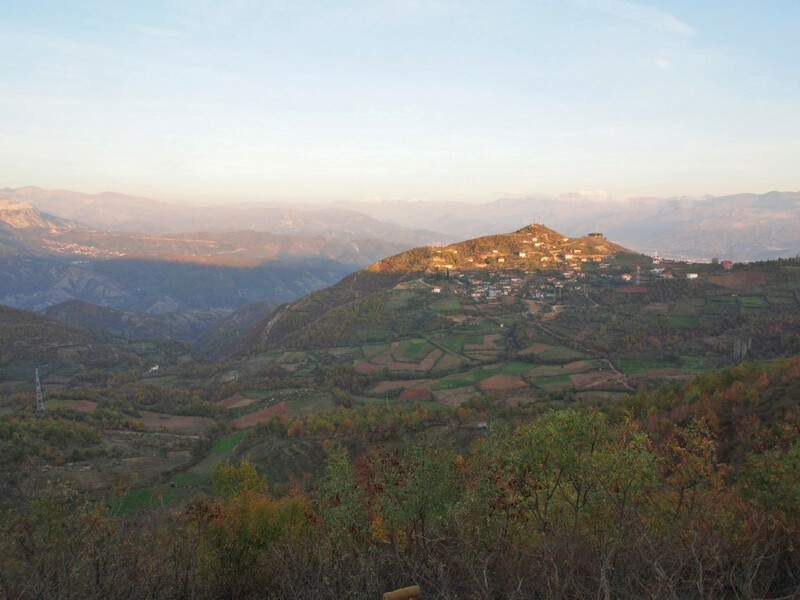 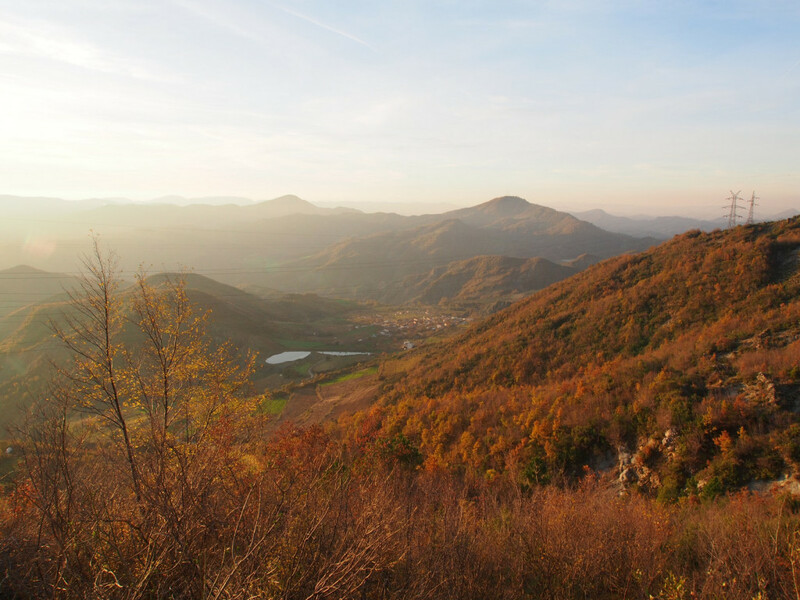 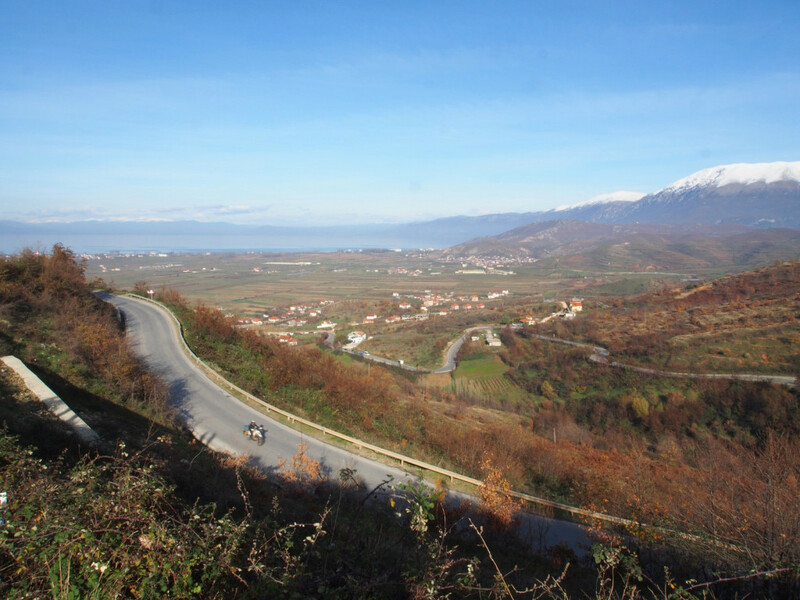 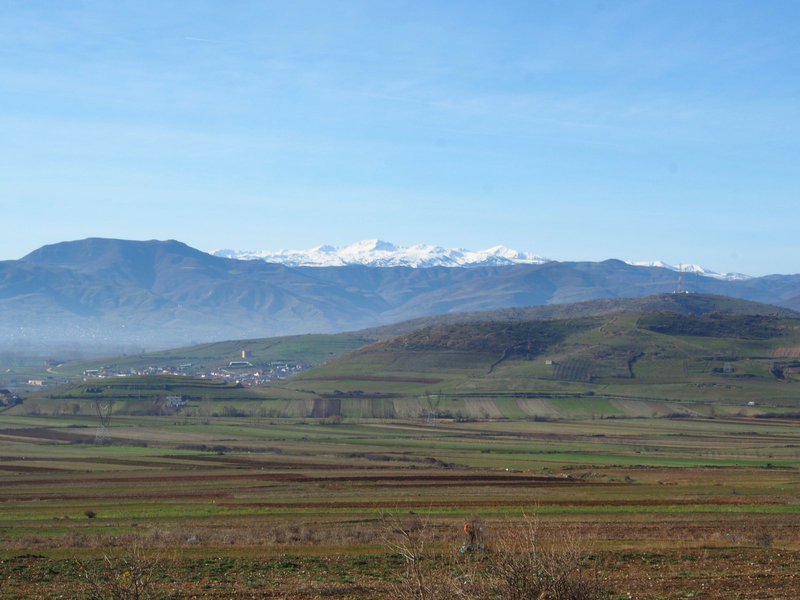 Away from the lake heading east, we reached the major town of Elbasan, and faced a choice – the expressway, or the back way over a little-used mountain road…not much of a choice, really. 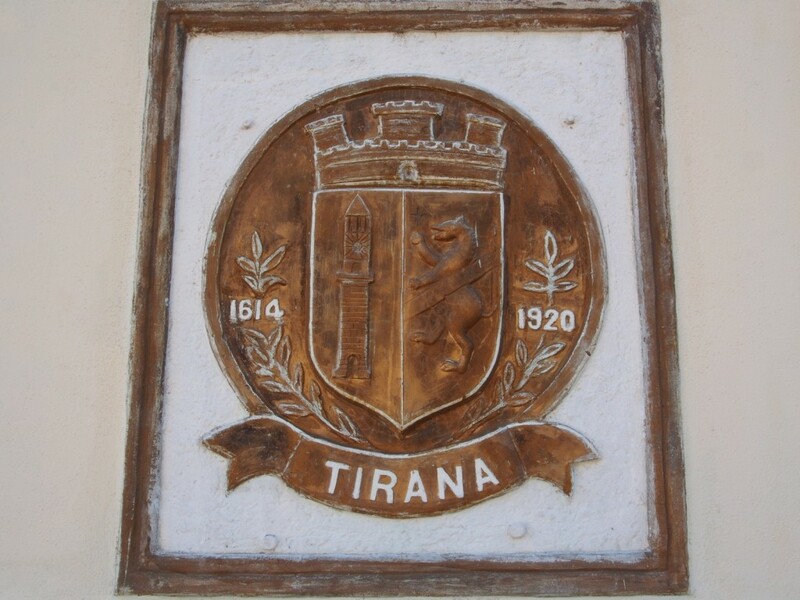 We arrived in the capital, Tirana, and set about exploring. 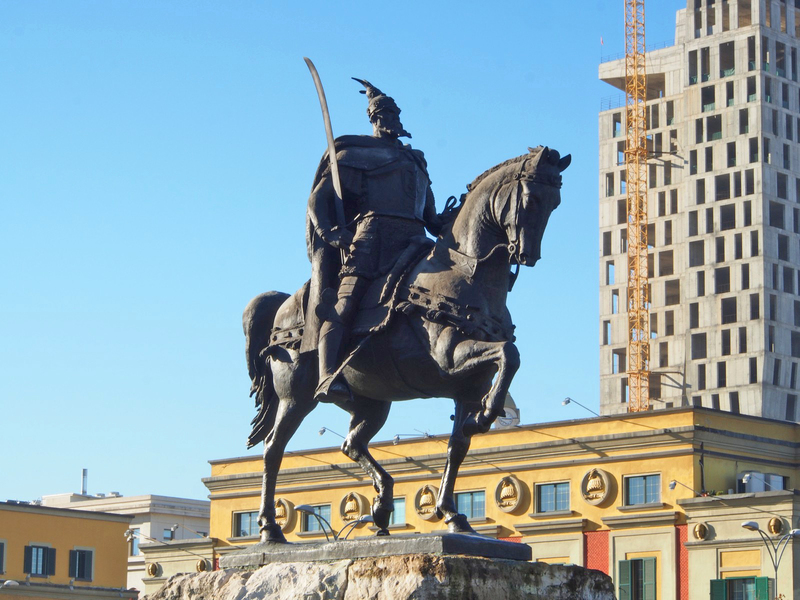 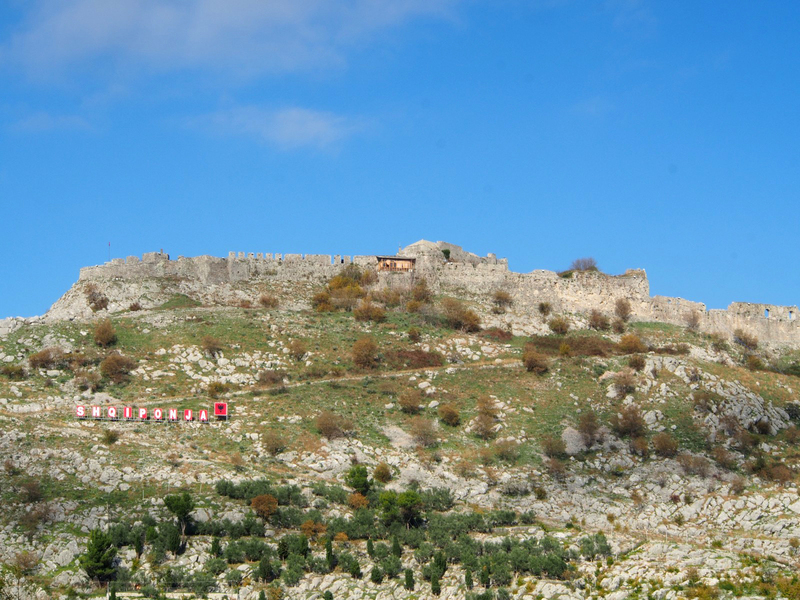 The national hero for locals, Skanderbeg, held off the 15th Century Ottoman invaders for over 25 years despite having a significantly smaller army. 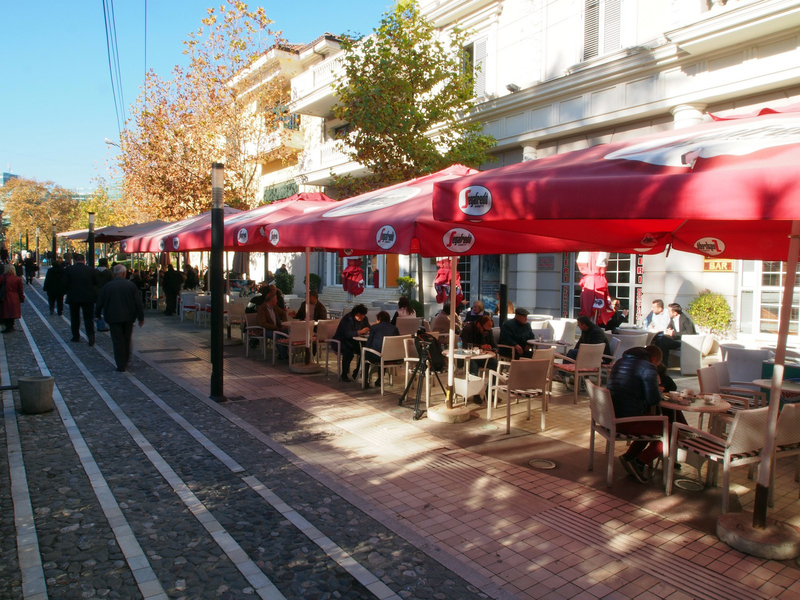 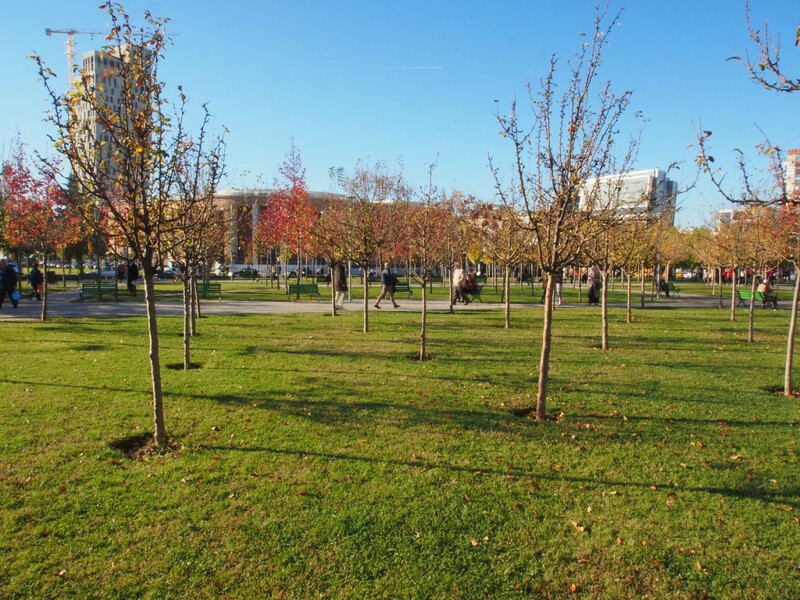 Skanderbeg Square is the heart of the city, a large green pedestrian space. 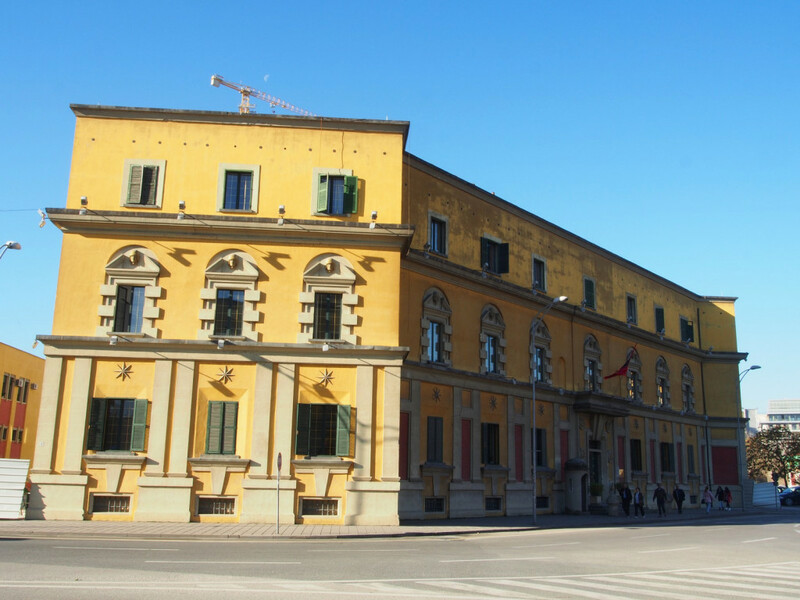 Facing the square is the National History Museum, with a large colourful mural depicting the country’s past. 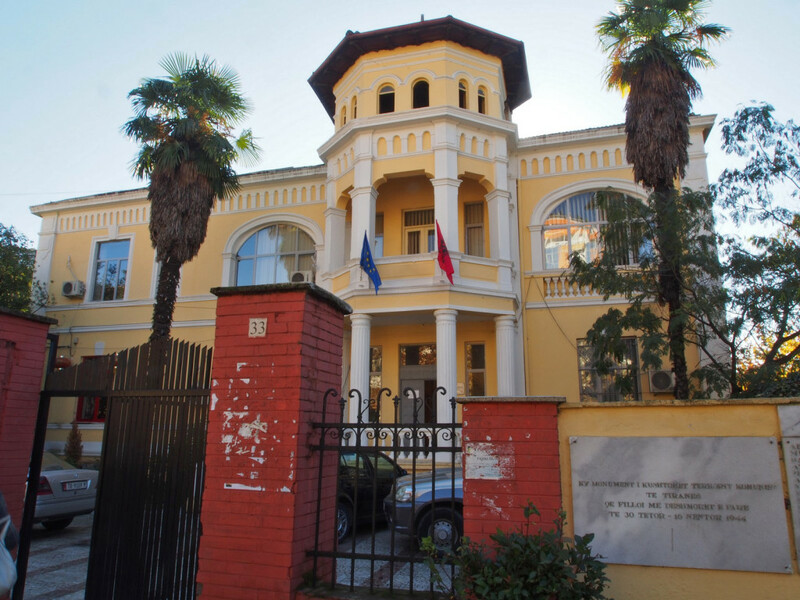 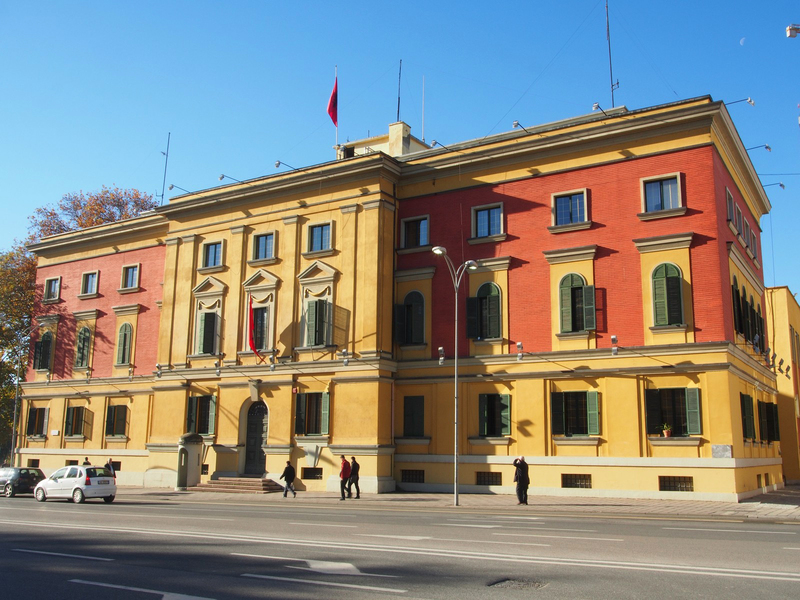 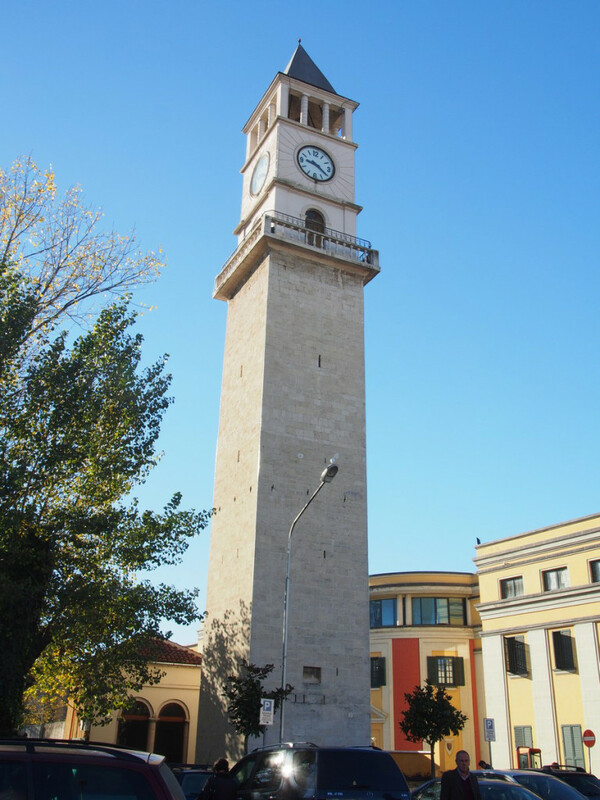 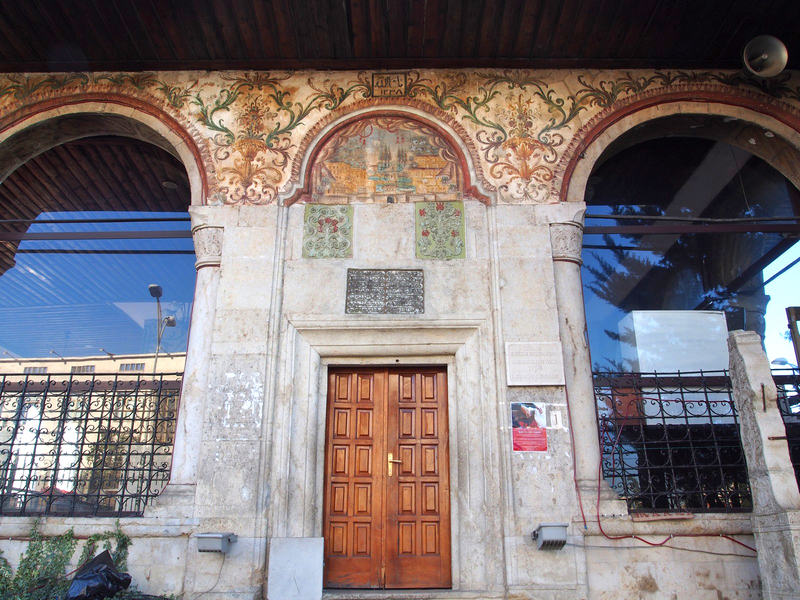 Albania was also ruled by Fascist Italy for a brief period, and some of the buildings in the centre of town display that unique architectural style. 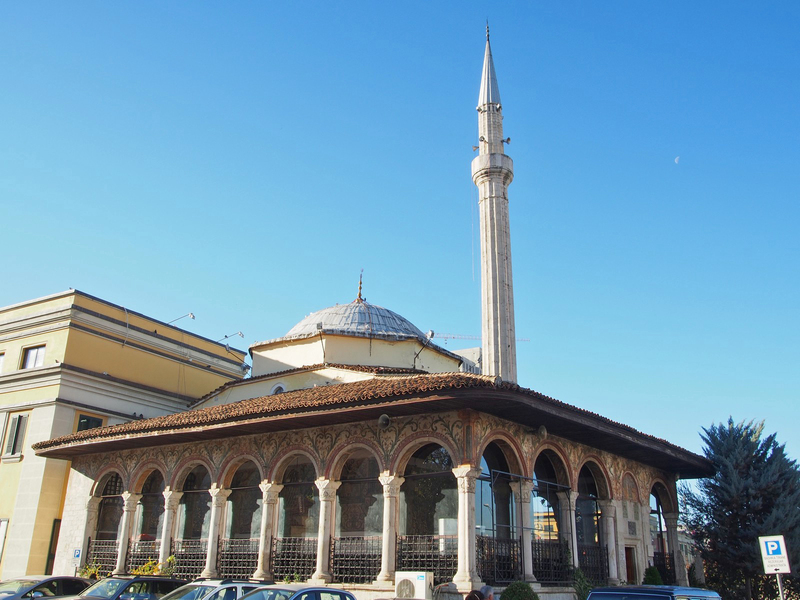 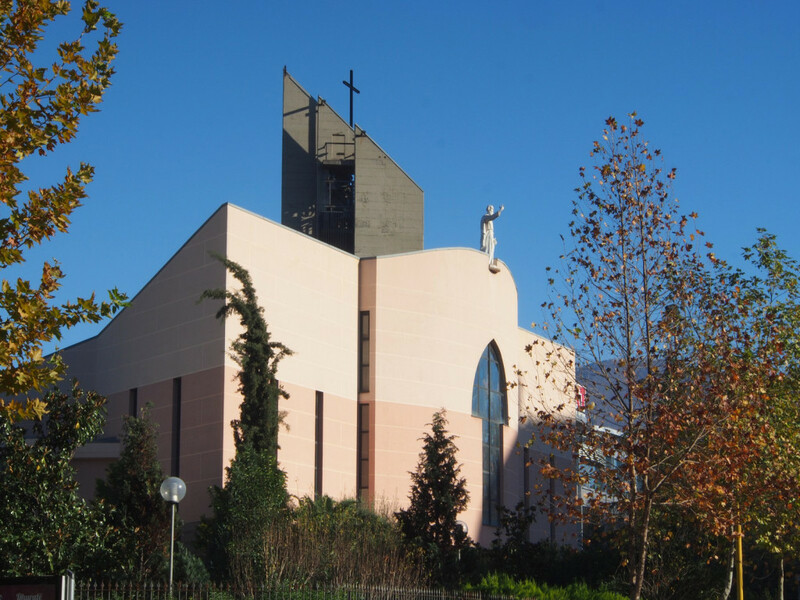 Albania is a multi-faith country, with the mosque, orthodox and catholic churches all within easy walking distance of each other. 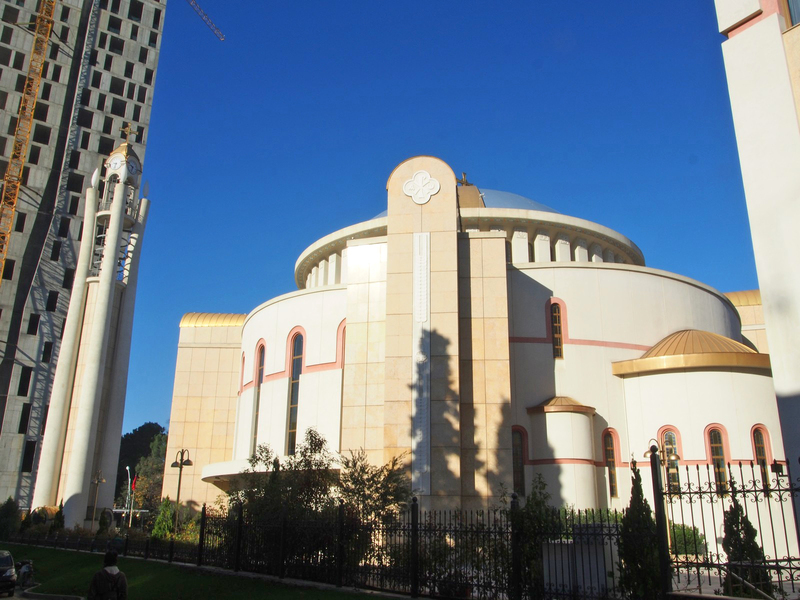 The mosque is a traditional 19th Century style, while the Orthodox church is an ultra-modern behemoth. 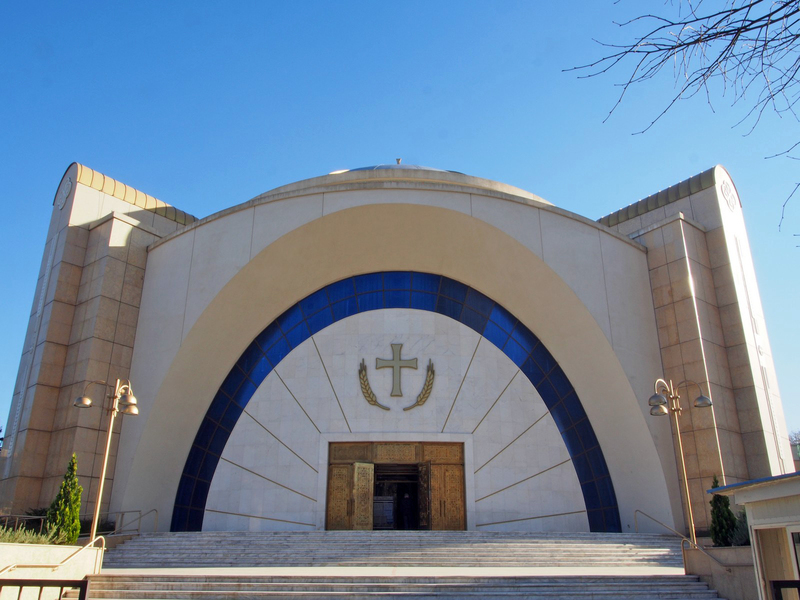 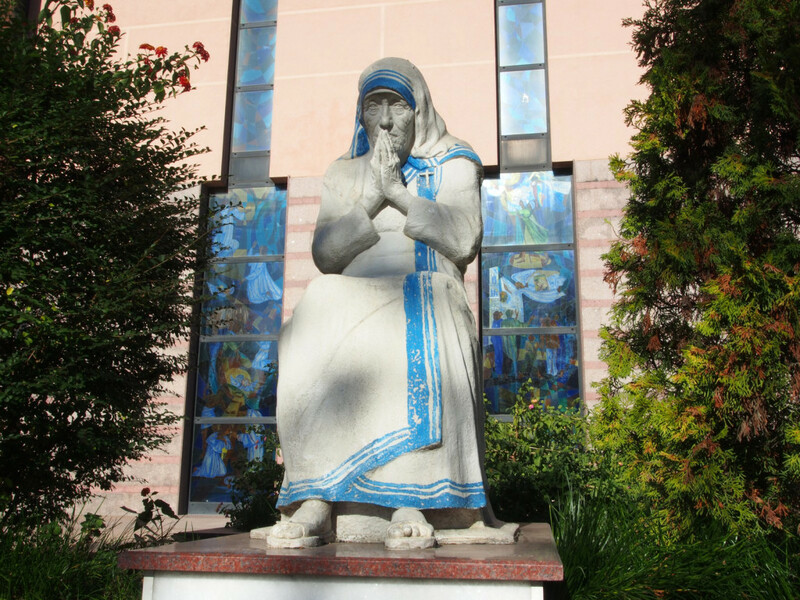 The Catholic Church memorialises Mother Theresa – she was born in modern-day Macedonia to Albanian parents. 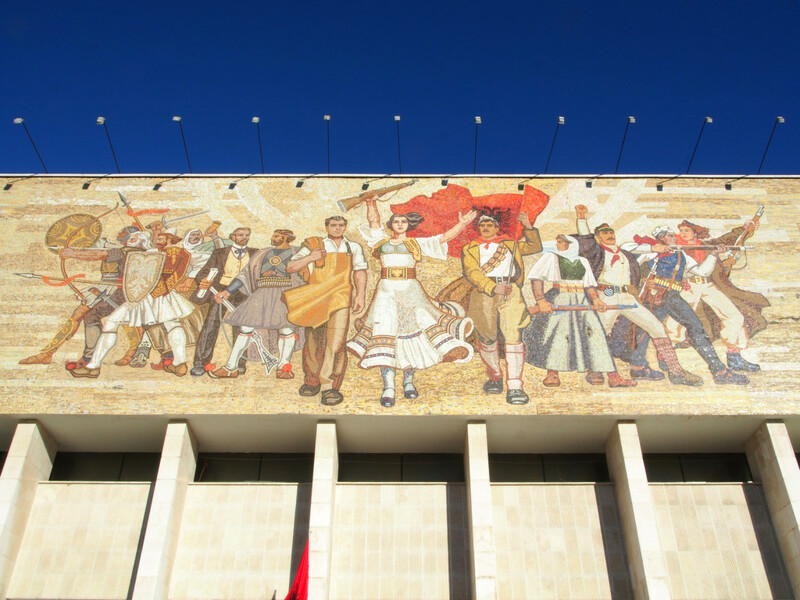 After the Second World War, the country suffered under a radical and reclusive communist dictatorship led by Enver Hoxha for 40 years. 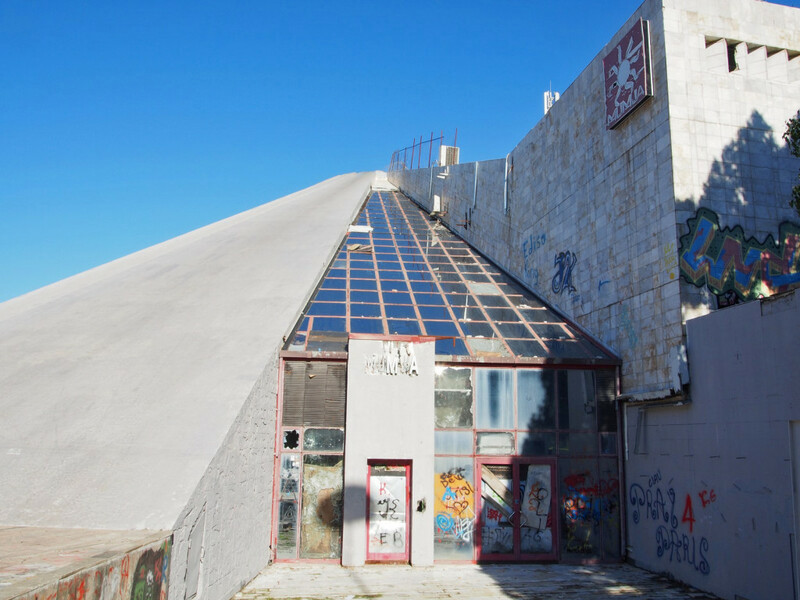 One of the biggest remaining symbols of that time (apart from the innumerable concrete bunkers) is the “Pyramid”, originally a museum for the deceased leader built by his daughter. 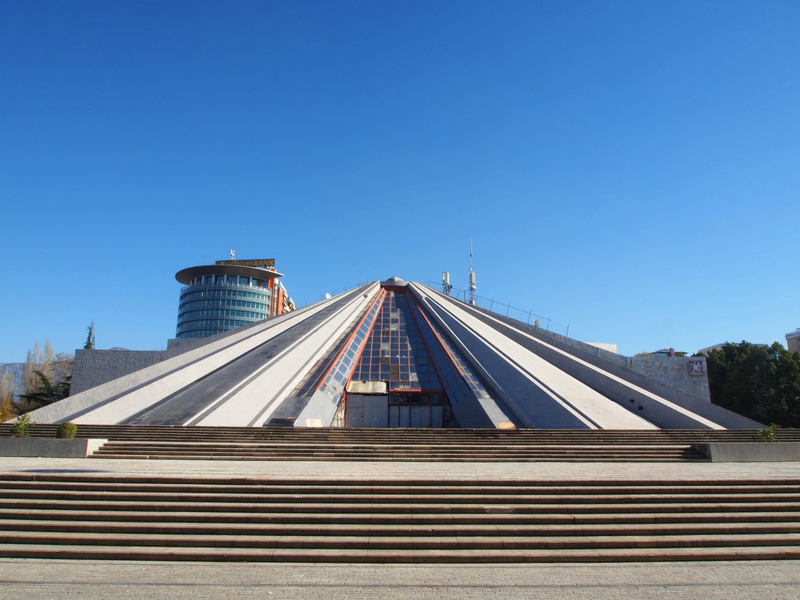 After the fall of the regime, it was partially converted into a convention centre but has mostly fallen into disrepair. 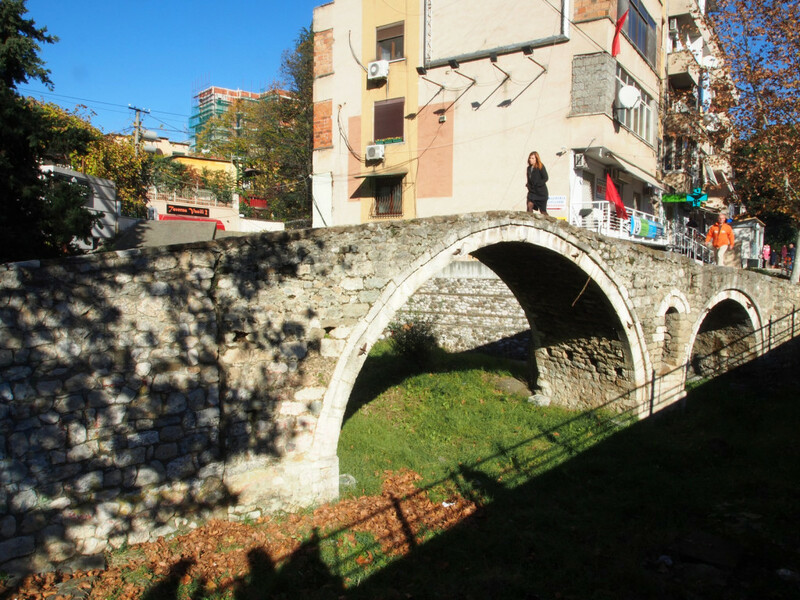 Although most of the city is quite modern, there are traces of the old Ottoman influences throughout – such as the Tanners’ Bridge, dating from the 18th Century. 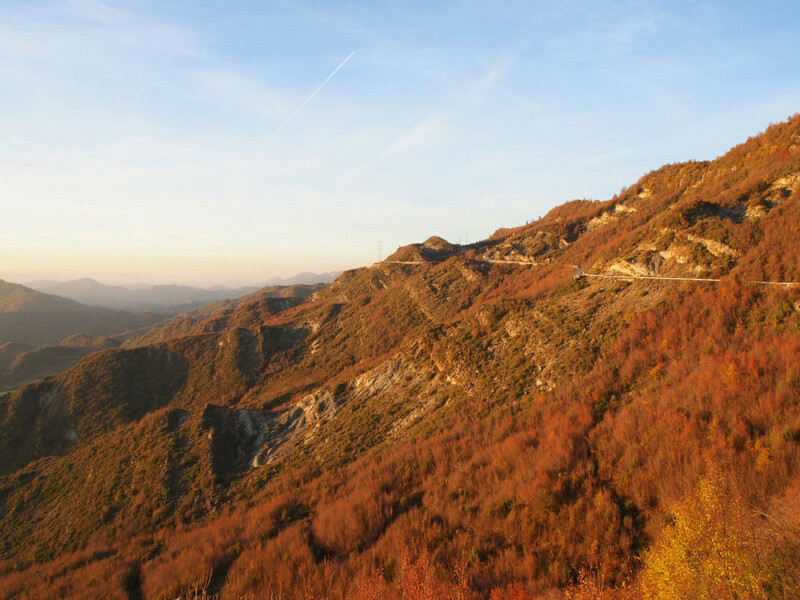 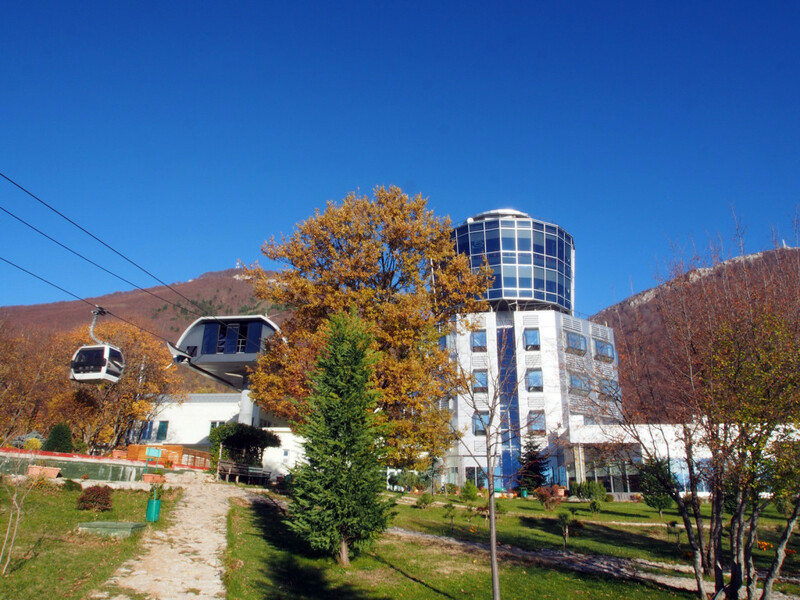 One of the bigger attractions of the city is the Swiss-built cablecar that runs up a nearby mountain, providing scenic views over the whole valley – and even glimpses of the Mediterranean in the distance. 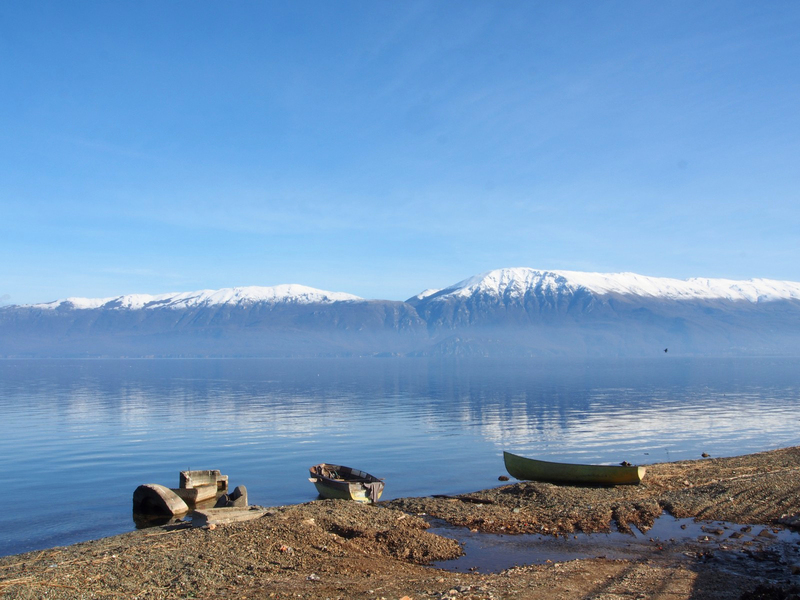 We left the city, headed west to the coast, and followed it north to the border with Montenegro.